Having lots of traffic and subscribers on your online store is a dream come true. Isn’t it? Getting lots of subscribers might not necessarily mean good news when you build online store and witness such trends overnight. Unless you have spent millions in advertisements across various digital and print channels, this trend should be investigated thoroughly and immediately. Not sure what might be wrong with having lots of subscribers on your online store? Go through your subscriber list carefully. Are you getting genuine subscribers or have you been targeted by the spam bots that are attacking your store by automatically registering fake ids? If you find lots of fake ids, you have a reason to worry. Spambots: Why are they so dangerous? Why do you need to protect your online store from spamming? Spamming is a real threat that might look just annoying at first glance. Even if we don’t consider the more malicious intents, the less harmless among the above-mentioned purposes can also be detrimental to your day-to-day business. If your online store receives attacks by spambots due to the absence of spam protection, it would invariably risk your website security, delay your business process and skew the results of your analytics and marketing efforts. Both these solutions can be implemented within minutes, right from your admin dashboard. Let us check how these simple tools protect your website from attacks of spambots. Captcha is the first line of defense against spamming on your online store. 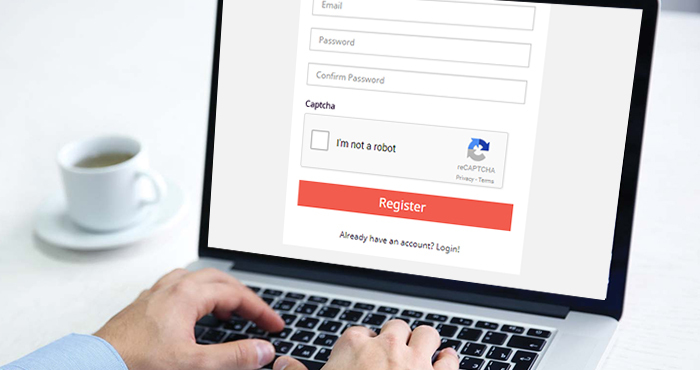 Captcha is a simple code that differentiates between humans and bots and thwarts any attempts to spam or extract data automatically from your online store. Users are required to submit the captcha code and verify that they are humans, not a computer program. Captcha reduces spam on your online store as it can easily differentiate between “real” and “fake” users within seconds. While bots fail to complete the Captcha verification humans can solve it within seconds. Adding this e-commerce protection feature also gives your brand the reputation of being aware of security risks thus winning customer confidence. 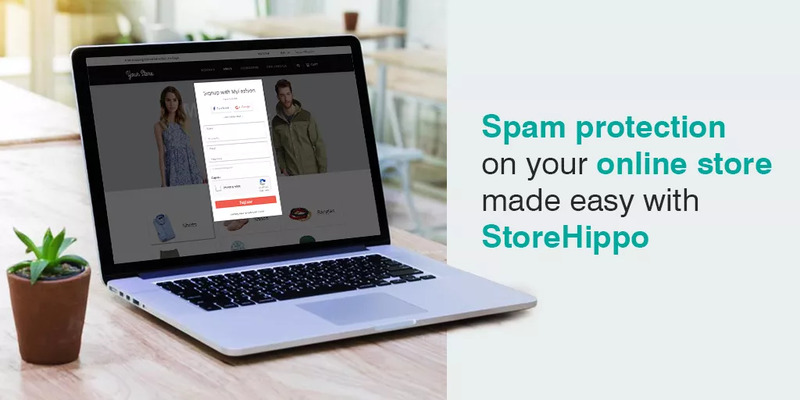 All ecommerce stores powered by StoreHippo ecommerce platform can use captcha across various forms to prevent spamming on their site. By implementing captcha you have ensured that only humans register on your online store. But how do you ensure that you get genuine new users when you build online store? What if someone has a fake list and using it manually to spam or scam your online store? With the increased incidences of online frauds, this can be a real threat. With so many benefits, user verification is a must-have feature for next generation ecommerce stores. StoreHippo offers default verification page and also allows you to create your own custom verification page. 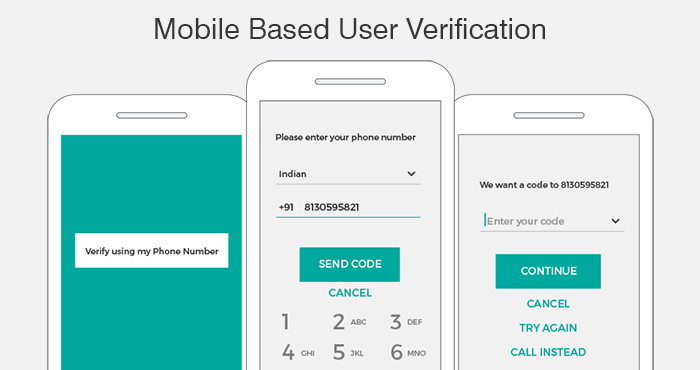 The verification process is OTP (One Time Password) based where the OTP is delivered on email and/or mobile phone and the user has to enter it in real time while verifying his registration. Now that you know how to implement spam protection on your e-commerce store, go ahead and implement these simple and effective tools right from your admin panel. Keep watching this space as we would be publishing another informative article on Benefits of Social Logins on your Ecommerce store very soon. Meanwhile, if you need any help in safeguarding your online selling site from spammers feel free to leave a comment below.